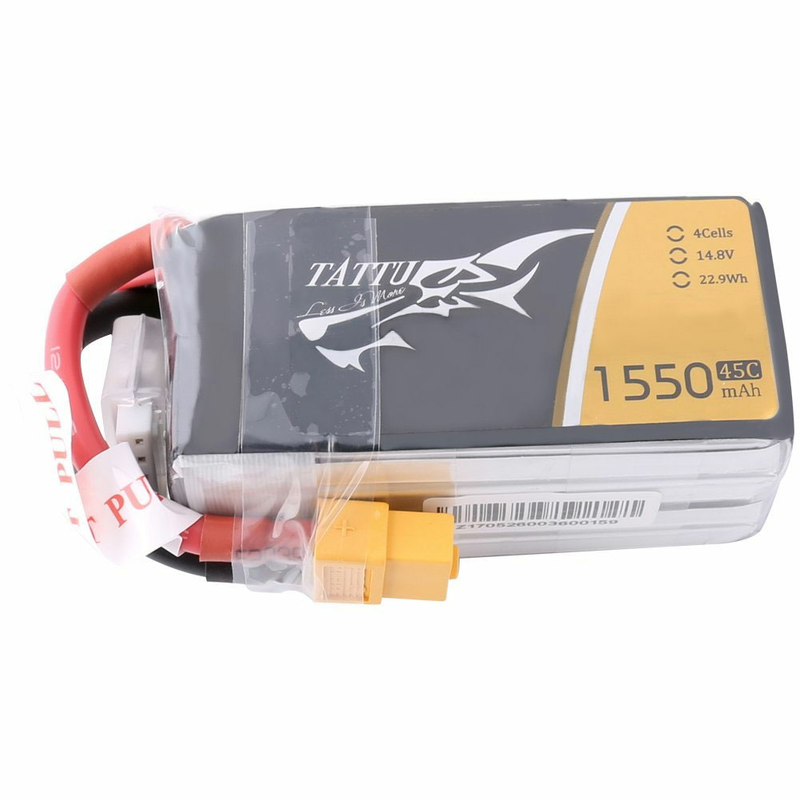 Tattu 1550mAh 45C 4S1P Lipo Battery Pack is a high C rate, large capacity and compact sized battery, ideal for multirotor, bounds of multirotors into the world of 3D flying, and high performance aircraft. - Stable automatic stacking technology enables single cell capacities of 1550mAh. - Tattu batteries provide high quality, reliable power for Vortex, FLIP FPV 250S MINI, FLIP FPV 260H MINI, drone and FPV etc. Tattu 1550mAh 45C 4S1P Lipo Battery Pack is compatible Vortex, FLIP FPV 250S MINI, FLIP FPV 260H MINI, drone and FPV etc.